In the heart of the South Luangwa Park in Zambia is Kakuli Safari camp and during my visit there, the guide was a Scottish/Zambian man named Mike. 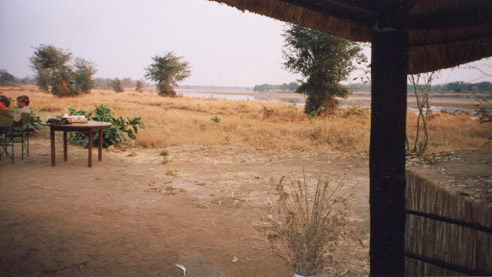 His story is as fascinating as is the bush surrounding the Kakuli camp. Mike was born in Uganda, but quickly whisked back to Scotland as a toddler when Idi Amin was in power. Do you remember that period in history, 1971-9, when the megalomaniac Idi Amin ruled over Uganda? Amongst his many atrocities against his people and the land, all in the name of power and greed, he had enticed a young naive, Scottish doctor into his sphere of power as his personal physician. This man was Mike’s father. As the corruption became worse, Mike’s dad was encouraged to leave and take his family back to Scotland. He had seen things and knew the secrets of Idi Amin’s regime that made him a threat. But it was already too late and Idi Amin suspected such, so he had body guards and henchmen pull the strings tighter around the doctor. There was a movie made later on called The Last King of Scotland starring Forrest Whitaker as Idi Amin and James McAvoy as Mike’s dad, Nicholas Garrigan. It was an account of Mike’s father’s experience with Amin and of the brutality perpetrated by Amin in those days. Mike’s father did manage to get his family back to Scotland, but he almost lost his life trying to leave the country, after being brutally beaten, by sneaking onto a plane with a load of passengers all fearing for their lives and Amin’s henchmen chasing the plane down the runway upon realizing that the physician was on that plane. 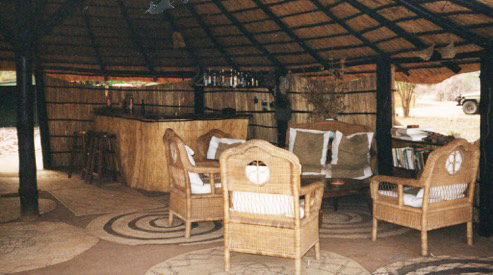 This story was told by Mike and only late one evening sitting around the campfire after many had gone to bed, did he tell it to a few of us after much prompting as we wanted to know more about how this enigmatic and intelligent man came to be in the bush of Zambia. None of us realized the horror that his story would entail. After years in Scotland, Mike was missing his roots in Africa and returned, but long after Amin had been deposed and was living in exile in Lybia and Saudi Arabia. Not being interested in following his father’s footsteps, Mike wandered deep into the bush and found solace in the heartbeat of the nature of Zambia and all her inhabitants there. 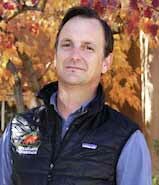 Mike had become well versed in the behaviors of the animals and took us on several adventures along the river where we encountered some rogue male elephants and once a leopard walking down the path toward us. Knowing the mindset of the animals gave him the understanding of how to respond so that we were never in danger. 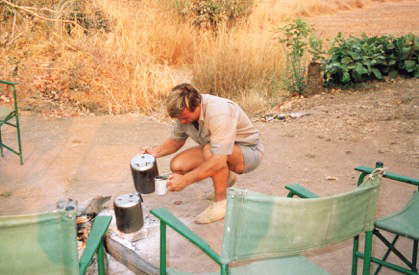 Guiding visitors through the bush was truly Mike’s calling, as well as his passion. He was able to interpret the activities of the animals without interrupting them, thus, when we came upon a nanny elephant tending three babies in a spot of shade one quiet morning, we could watch without intrusion, and feel the magic of the moment. Africa as you showed it to me will always live in my heart. Thank you, Mike, wherever you are. 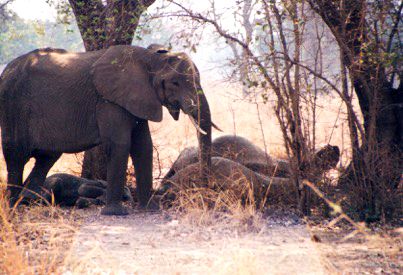 Young “nanny” elephant with three sleeping babies. Elephants roam the South Luangwa National Park in Zambia, especially in the heat of the dry season where the temperature rises to 102-108 F. There is little water in the Luangwa River, but they herd themselves to the water’s edge, wary of every moment in the edge of the bush, suspecting a lion to emerge at any second. Sitting high up in the open air safari vehicles, bouncing along the sandy rutted track, we cruised lazily through the bush, longing to see the last group of baboons, zebra, waterbuck, giraffe, and of course the beloved elephants. When the guide, who was driving, slowed down and cut the engine off, it was enough of a pattern interrupt that we pulled ourselves back into the present moment, sensing an impending event. All eyes went to the guide, Mike, who was swinging around toward us with his finger to his lips in the sign of silence. The sudden hush amongst us was palpable. The vehicle rolled to a halt in the middle of the track . Off to the left, standing as if alone in a small shady area amongst the hot dry bush, stood a smallish elephant, a young adult. A teenager. She was swaying back and forth, her trunk brushing from side to side, back and forth, her ears flapping gracefully and slowly. She did not look at us but kept her rhythm and her head down. As our eyes became accustomed to the shade in which she stood, we could see that she was not alone, but with two baby elephants, lying on their sides directly in front of her. It was the constant touch of her trunk that they were enjoying as they slept. Every so often we watched as one would flip his tail or flick a fly with an ear. As we began to understand what we were seeing, our hearts began to melt. A slight gasp of awe arose from several of us. This was a “nanny,” left to watch over the babies as they napped while the rest of the family went to forage in the nearby bush. We could not see them, but knowing how far the low rumble of an elephant call can travel, they were surely close enough. So here she was, “rocking” the babies with her trunk in the stillness of the morning. Such tenderness, this, and quite vulnerable as she really couldn’t defend them from predators. And it became apparent that there was more to this scene. A tiny baby, less than a year old, was harbored under her body. She was rocking that baby with her left foot as she swayed as well. Three very young elephants alive and well, peacefully tucked against her body, occasionally twitching as babies do in their sleep.We were witness to a very intimate event in the daily life of an elephant family and we knew it. No one moved a muscle except to click the shutter of cameras. It was being recorded as a moment in time that would resonate for each of us forever. The heat was no longer the issue of the day, the discomfort of the body was forgotten, the emotions of longing and sadness upon leaving our magical camp in Zambia were suspended as we collectively came into the present moment and held on to it as long as we westerners could, since we were so unaccustomed to being in Being. I felt the presence of Grace, pure Grace. Nature is full of such moments, yet it is so rare to walk upon them and hold still long enough to get what it is that is going on. But for the five of us travelers from a distant land, and the guide who had the consciousness to recognize what he was seeing before we blundered into it and disrupted it with our business of travel, we got to share moment of true Magic. That is Magic. That is what it is. 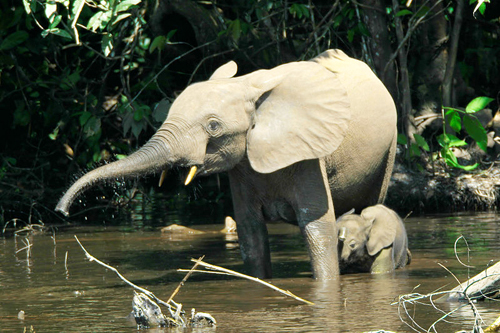 A female elephant with her baby, in the Congo. Second photo: Wikimedia Comons / “This work has been released into the public domain by its author, John Walker. 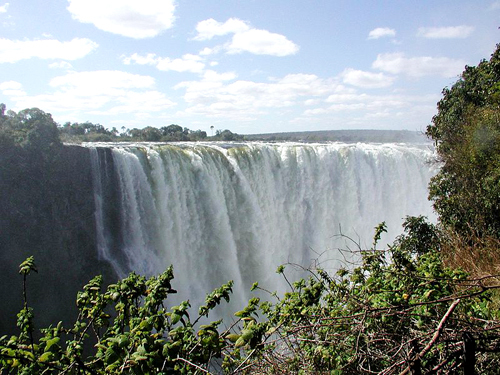 This applies worldwide.” / Victoria Falls, in Zambia. Third photo: Thomas Breuer / Wikimedia Commons/ “This file is licensed under the Creative Commons Attribution 2.5 Generic license.” / Forest elephants (Loxodonta cyclotis) in the Mbeli River, Nouabalé-Ndoki National Park, Congo. Female forest elephant with her baby. “The flood situation in Odisha could be worse than that of 2011. The release of water from the Hirakud Dam and incessant rain in the catchment areas caused the rivers Mahandi, Bramahani, Baitarani, and their tributaries to swell, further inundating the riverside villages and the adjoining areas. 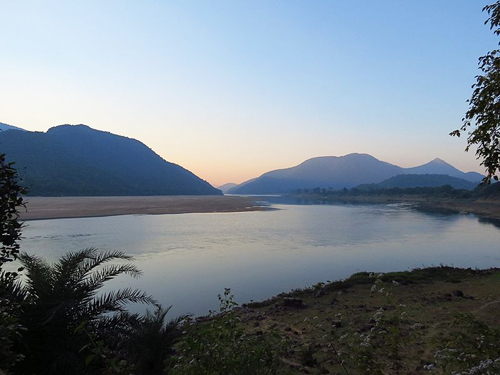 Mahanadi means “great river.” It flows through the Indian states of Chhattisgarh and Odisha. Before entering Odisha, it is joined by the Hasdeo and the Jonk rivers. The Hirakud Dam, on the Mahanadi, is the largest earthen dam in the world. It spans 15 miles, from one hill to another, and creates the largest artificial lake in Asia. Before the dam was built in 1953, the Mahanadi, at its widest, was one mile wide. Now it is narrower and, at certain spots, winds it way through dense forests. It travels over 900 kilometers (560 miles), depositing more silt than any other river in India, creating rich agricultural land. The river is subject to flooding caused by heavy downpours of rain. In 2011, severe flooding caused great damage to mud huts in 25 villages above the dam. To contact Kailash Maharana at the Maitri Club, click here to go to their website. Photo: Soumyadeep Chatterjee / Wikimidia Commons / “This file is licensed under the Creative Commons Attribution-Share Alike 2.0 Generic license.” / Mahanadi River, Tikarpara, Satkosia Tiger Reserve. Outstanding. More than 200 miles of it! 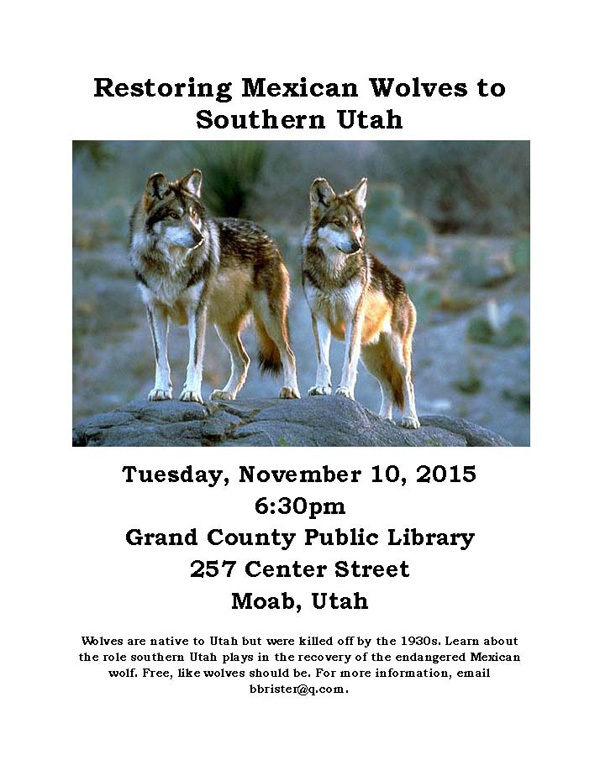 To visit the WildEarth Guardians website, click here. 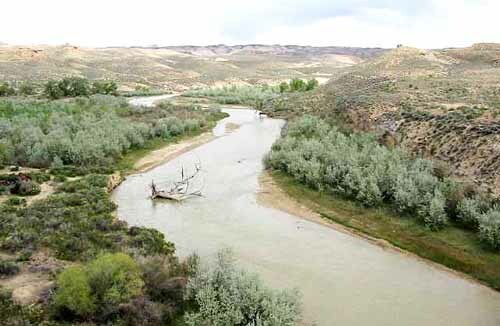 Top photo: “As a work of the United States Government, the image is in the public domain.” /The White River flows through Colorado and Utah.